Great bloggers neither leave their content unpolished nor do they publish before their work is wholly refined. To bring traffic to your website and enlarge your targeted audience, it is essential to respect the proofreading process. Whether you’re working on a paper, blog, article, e-mail, or other essential document, always be sure to proofread it and make sure it delivers the proper message. Here are seven ideas you can apply. After you’ve created your piece, take time to reflect on your work. Is there anything you don’t feel unsatisfied about? Are you content with delivering this message to your niche? Is your grammar correct? If you have unanswered questions, write down ideas to address them. What would you like to improve, how, and in what time frame? Set goals and deadlines, then start working on them. Treat yourself kindly and take regular breaks. Nobody can work non-stop! Work 50 minutes, then take a 10-minute break. During your free time, meditate, dance, read, listen to classical music, or do something that loosens you up. Avoid getting sidetracked into social media. 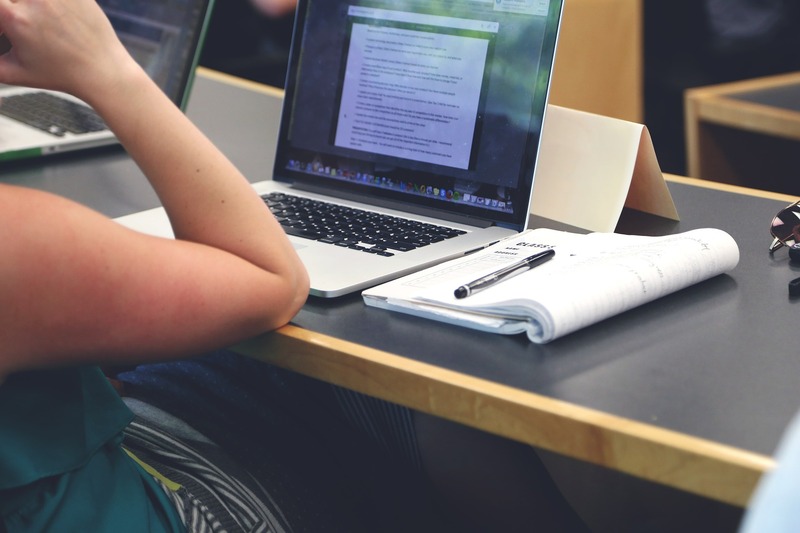 Become a better proofreader through practice. When you don’t have any assigned tasks, write! Yes, simply write down your thoughts using the best language you can. To improve your writing skills, allocate at least 15 minutes a day or more to reading a well-written article. Sign up for The Economist, HuffPost, The New York Times, or any magazine that’s attractive to you. Pay attention to the writer’s approach and style. That will inspire you to progress—in both your proofreading and your writing. Identify a colleague you can reach out to. Work with a person who’s specialized in your area of interest. You can trade tips, exchange ideas, and do each other’s proofreading projects. Help that person help you. Take things step by step, and don’t rush when you write, polish, or proofread your piece. Remember, you are not done until you’ve revised your content to your satisfaction. Be patient with your learning process. Read and write daily, and you’ll make fewer mistakes, write better (and faster! ), and have more free time. Don’t hesitate to get help if you need it. 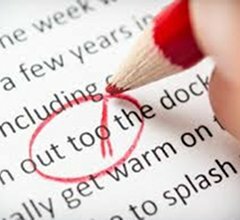 Ask your colleague or even a professional editor to re-read your piece after you’ve polished it and proofread it yourself. Take the feedback you receive into consideration and learn from your errors. To become a great proofreader, I suggest you set a positive mindset, practice reading and writing daily, find a proofreading buddy, ask for help when needed, and be patient and kind with yourself. Howard Robson is a blogger from Melbourne, Australia. He enjoys traveling, photography, computer games, and meeting new people. Join him on Twitter and Facebook. What additional ideas do you have that would improve the proofreading process? Share them here. Writing Blunders: What Have They Cost You? It only takes a moment to make a blunder in writing that sets in motion near-disastrous results. Sure, writing “best retards” instead of “best regards” can be embarrassing but some writing blunders can truly hurt. What catastrophic examples can you cite about communications gone awry? What consequences followed? Taking Artistic License with Commas—Okay but Watch Out! When working with business professionals and nonfiction authors, I often wonder how much they struggle with their use of commas and other punctuation—or whether they question it at all! At times, strict punctuation rules can be relaxed, especially when writing artistic pieces. Even in the absence of rhyme or reason where commas are placed, however, consistency must reign. Unconventional punctuation can create confusion in meaning. addresses the correct use of a comma. I encourage you to read this article and learn from a master, Ben Yagoda. Paris,” with my oldest friend, Jessie. the meaning–a subtle but important distinction. rules in your writing? Please share your comments here. In my workshops and ezines, I constantly encourage writers to improve their writing by tightening their paragraphs. But what does that mean? It means finding ways to get your point across using words that each “work like a galley slave” in the sentence or paragraph. Maximum effect using a minimum number of words. Whack wordiness! Let me throw out a challenge–that is, tigthen the paragraph below by rewriting it. Your assignment? Convey the essence of this paragraph using a maximum of 21 words. Ready, go! The subsequent chapters then will focus in great detail on each of the steps to make sure you know how to accomplish each step before proceeding to the next step and how to measure whether or not you are ready to move to the next step. Your next (even more meaningful) assignment? Show me the results of either assignment or both (email the before/after writings or post them in this blog) and I’ll reward you with my Word Trippers ebook. Publishers often make mistakes and it is important that writers are aware of the problems that can occur before the process moves along to publication. Writers who self publish should especially be aware of common mistakes when publishing their own manuscript. Regardless of whether the publisher produces hundreds of titles or one, awareness and avoidance of common mistakes should be practiced. Here are the seven biggest mistakes that publishers and authors make. The first is rushing a manuscript to publication before the editorial process is complete or when the manuscript doesn’t deliver. Editors working inhouse are under pressure to deliver on a very tight and strict deadline to meet a publication date. The problem is that the manuscript may not be ready and ultimately will fail because of that fact. With self-publishing the pressure is off and yet too often writers tend to proceed to release date rather than correct the editorial problems. Nothing can kill a book’s potential faster than rushing to publish a manuscript that is not ready for release. That same principle holds for the self-published who have revised and rewritten their manuscript to death and it still doesn’t work. In that case, the best approach is to avoid publication. Simply place the writing on a shelf and start something new. Rather than make a publishing mistake of this magnitude, the best advice is to delay, not destroy. The second mistake is placing the wrong category on a book that ends up in a spot where readers are not able to locate the title. With big publishers, this happens more than you can imagine because their goal is to segment each category into as many subgenres as possible to gain a competitive advantage. The problem with that thinking is retailers and online sellers have caught on and now refuse to separate general categories into several sub-categories, thus making it more difficult for consumers to find individual titles or authors. The same problem holds true for online sales where they are not fighting shelf space but still hesitate to slice and dice too many mainstream categories. This is difficult to understand but the idea seems to be keep things as simple as possible so readers will be forced to browse rather than go directly to what they want. The web site search engines help but online booksellers are smarter than we give them credit for. They have learned to throw as many titles in the face of the searcher in hopes they will purchase more than one . Bestselling authors seldom worry about titles; their notoriety can withstand just about anything. Not so for relatively unknown writers searching to expand their audience. For both fiction and nonfiction, titles must provide direction for the reader. Romance writers cannot get away with titling their love story The Amazing Race or Guns for Hire. These titles send the wrong message and savvy consumers will often rush right past, regardless of the quality of the manuscript. Title problems are especially troublesome for nonfiction where subtitles play a major part in the success of the book. If the title does not imply an immediate position for the reader, then often the book gets passed over. If you are writing a particularly narrow niche manuscript that screams, for example, business finance, then the title should hit that nail squarely on the head. In addition, the subtitle should bring the subject into focus, making selection quick and easy. With titles, the publisher and author get only one chance, so a mistake in this area can be fatal. Once the title is secure, the package or cover must convey the same message. The best advice is to browse the aisles of a local bookstore for comparison packages of similar titles and take notice of the colors, font, placement of title, and author name, whether photos or illustrations are used as opposed to simple title design without illustrations. In this case, following the lead of the major publishers is a good idea. If they do one thing well it is package books because they have a tremendous advantage when it comes to knowing what consumers want. Never get sentimental about specific designs that your friend or relative created for you. While a sweet gesture, if the cover misses the mark, the publication may never recover. Once the title is out in the market, trying to recall for a new look is not only difficult but costly. Plus the issue with pulling one title from the market and eventually replacing with a new one is time consuming. Leave the packaging to the experts and allow them to create a unique design for you with your specific direction. This is the best approach to book packaging. Writers value their work at a much higher level than the average consumer. While every work has value, the truth is that the market sets the price, not the publisher or author. If fiction titles in your category are generally priced in a range separated by four dollars, it is wise to stay from the middle to the bottom of that range. It’s especially true if you are relatively unknown and building a readership. Trying to price yourself at the high end means you will compete for the same dollars as bestselling or notable and more experienced writers. When it comes to pricing, it is easier to go up rather than go down. A reduction in price often indicates a fire sale when it comes to books and that screams failure. Special promotions with price reductions are fine but it still signals a potential problem. Consumers are smart when it comes to disposable income and they know the market when purchasing books. Price right from the beginning and avoid these issues. Not every manuscript should be published and not every format works for every publication. Although this mistake is largely an issue for traditional publishers, there are mistakes that self-published authors make with regard to format. For example, print should not always be the first choice. Digital publishing makes a lot of sense when the budget is small and the readership is nonexistent. The question to ask is: why spend the majority of your budget on print when an eBook can produce the same result for much less? Formats are the various designs for which a publication is produced. They include hardcover, trade paper, mass market paper, for the sake of the self-published a print-on-demand publication, audio and finally eBook. Publishers and authors need to consider the cost of producing each format versus the availability of distribution to reach the intended audience. Print distribution is costly and largely ineffective for the self-published. While eBook distribution is easy and open to all, print is not. Access to the marketplace combined with the marketing budget and intended audience should help to determine the format. Print often results in overprinting, which is one of the most costly format mistakes. Publishing a paperback simultaneous with an eBook is almost standard for new writers and while both serve different markets, the marketing often cannot support both formats. The shotgun approach of publishing in many formats at once does not often work and failure in one format rarely ends in success in another. Each format requires a different marketing strategy, an approach that does not hold water for every format. Add the category and price into the thinking and it turns out not to be as simple as most think. If a publisher or author makes mistakes in any of the six previous areas, then no amount of marketing will overcome the obvious errors in publication. If the publisher or author makes a serious mistake in any one of the six areas, then the marketing task is made more difficult. In a marketplace that is highly competitive, publishers and authors cannot afford to make even one mistake and expect to overcome the problem with marketing. For many publishers, the most common mistake is inadequate marketing; failing to provide the title with sufficient exposure to generate sales. In that case, the title is abandoned because the schedule means more new titles are coming quickly and there is not adequate time to recover. For the self-published, failure to market means a re-start, pulling back and starting over. Books fail to sell copies for many reasons and here are the seven most common mistakes that result in failure. Getting all seven points correct does not mean instant success because the competition is tremendous and the market is unforgiving. Getting all seven points correct gives the publisher and author the best opportunity at achieving success in a very tough environment. As a writer you cannot be discouraged but rather you need to be empowered with the knowledge that you know what it takes to be successful as an author. Luck and timing always play a major role but the best chance at meeting your personal and professional goals is to put yourself and your publication in the right position to capitalize on what may happen in the market. Don’t be afraid and don’t give up! Writing and publishing is difficult but only those with industry knowledge, skill as a writer, and a strong temperament can make it as a successful author. Choosing an editor is a big step. This is the person you will trust with your words, your ideas, and your vision. How can you choose wisely? The first step is to understand what kind of editorial service you’re looking for. Editors work with manuscripts in different ways. Some take the “10,000 foot” view, considering your book’s overall structure and theme, while others are basically holding a magnifying glass right up to the details of spelling and punctuation. Which is right for you? Do you want someone to tear your work to shreds? To suggest alternate endings, or to point out entire chapters that aren’t necessary? Or do you want someone to check the spelling? While not everyone uses the terms noted below, these are standard descriptions for different editing services. Also often called a “substantive edit” or “manuscript evaluation.” This service invites an editor to critique your overall manuscript. Feedback often comes in a memo, or in annotated comments throughout the work, that provides general guidelines and feedback for you to tackle revisions. The editor doesn’t actually change anything in the document itself. For nonfiction manuscripts, the feedback will focus on the impact of your content: its clarity and conviction, the flow of ideas, and the effectiveness of the writing style. This is typically the most intense (and some say, invasive) editing, and the place where you really need to trust your editor. Line editors bring out the best in your author’s voice and make your writing shine. That means that sometimes a line editor will make actual content changes to a work. Giving dialogue more “snap” and bite. Suggesting—and sometimes implementing—more comprehensive additions and deletions, noting them at the sentence and paragraph level. Copy editing is, I think, what most people envision when they think about editing. The book remains largely in the order and at the pace that it was, and editorial changes happen at the sentence level. Editing for clarity, format, syntax, obvious factual errors, and continuity. Correcting incorrect usage (such as who for that). Flagging inappropriate or over-used figures of speech. Changing passive verbs to active. This is usually the final step in editing, when a detail-oriented, meticulous editor goes word-by-word to correct grammar, spelling, usage, and typographical errors. Proofreaders make sure that spelling (is it grey or gray? ), hyphens, numerals, and capitalization are always consistent. Proofreading fixes what our computer spelling and grammar checkers miss. Which of these services fits what you need right now? Beth Jusino is an editor, teacher, and the Director of Book and Author Marketing for The Editorial Department, one of the oldest and most respected author services firms in the United States. There, she evaluates everything from self-help nonfiction to mystery novels, women’s fiction to memoir. She lives in Seattle, where she is a member of the Northwest Independent Editors Guild, and teaches a “Guide to Getting Published” seminar each quarter at the University of Washington’s Experimental College in Seattle. She has published white papers on Writing a Nonfiction Book Proposal and Market While You Write: Developing Your Author Brand While You’re Still Working on Your Book (both available from The Editorial Department for now, and Amazon soon). Find out more at www.editorialdepartment.com. What’s the single most important change you can make in your writing? Learn to use active construction to add clarity and action to your message. Watch out for “is” words and their various cousins. to merge.” Are you guilty of overusing these two weak words? In fact, I’d put the word “just” in the same “weak” category. them along with crisp, sharp prose—especially active verbs! and add muscle to the meaning. Passive: This policy is being implemented in an effort to streamline our process. Passive: Improvement will be noted in most cases (or instances). Passive: The procedure was changed in order to reduce the necessary steps. Time Magazine has outdone itself this year. Its entertaining list of “top 10” buzzwords for 2011 give a tongue-in-cheek snapshot of current events, with Occupy at the top. Why pay attention to them? So you can selectively use them in your writing–or avoid them if the meaning gets distorted in context and goes against your purposes. Curious to know all 10? Click on the link below and list your favorites in the comment box. What buzzwords would you add? What ones do you want to create buzz around for yourself in 2012? Editor’s note: I hope you enjoy these fun ways of picking titles from Daily Writing Tips–a fabulous resource for writers. Think of a couple adjectives, nouns and verbs that describe your story. Write them all down on a sheet of paper and combine them into different phrases. Sometimes you can pick up on a title that works. Look for an important turning point in your novel or just focus on the climax. Describe this event on paper. Pick out the words or phrases that stand out to you in your description. Mix and match these words to see what works for you. Pick out novels or short stories that run in the same genre as your project. Study the titles and how they relate to the story as a whole. Then, look at your project as a whole. Think of the theme or overall message of your book. Write down some words that go along with your theme and work them to see if you can find a fitting title. Avoid the obvious “The” titles like “The Pink Slipper” or “The Brown Dog.” Look for slight recurring themes or undercurrents in your novel and try naming your novel after those subtle nuances. JK Rowling, author of the Harry Potter series, is a genius with titles. The titles, especially the Half-Blood Prince, all highlight under-riding themes that later play a large role in the series as a whole. Poets usually have a way of weaving words in a beautiful tapestry of art that put prose writers to shame. Read some famous poetry and write down words and phrases that stick out to you. Song lyrics often have the same effect. You can find some powerful titles by mixing, matching and combining words from powerful lyrics. Consult your thesaurus and look up synonyms for commonly occurring words in your novel. Write down as many synonyms as you can to try and get a fresh point of view on an event in your novel. Look up these synonyms in the dictionary to get a better understanding of their meaning. Use different words in context to find a combination that you like. Type “title generator” into Google and see what pops up. There are several websites that will either have you type in a couple descriptive words and scramble them for you or they’ll just generate some random titles for a variety of genres. Some, like guywiththecoat.com, just generate extremely random and funny titles. Mostly, these titles are just good for a laugh, like “Pants ride the Bus,” but you may actually be able to find something that works with your project. Mistake #1. Being so self-absorbed as a writer that you’re unaware of the reader’s experience. The fix? Know your core message and write to that message, leaving out the experience of writing. Mistake #2. Addressing readers as readers rather than a single key person whose interest you want to capture with your message. The fix? Keep a single interested person in your target audience top of mind as you write. Mistake #3. Skimming the surface, not going deep enough. The fix? When describing an experience, explain what you felt, what the other person felt as best you can, and what exact words were spoken. Go deeper with the details. Mistake #4. Having no rhyme or reason to the order of the paragraphs. The fix? Make a conscious decision about the order based on logic and facilitating your readers’ comprehension. Mistake #7. Writing sentences that ramble (on and on and on and on). The fix? Limit sentences to 15-21 words max but vary sentence length. Bonus mistake: Mixing metaphors and flat-out choosing the wrong word. The fix? Use a word choice guide like Word Trippers to help you select the perfect word when it really matters.